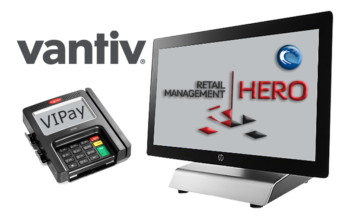 Vantiv VIPay for Retail Management Hero - New West Technologies, Inc.
Symmes Township, Ohio – November 10, 2017 – For retailers using Retail Management Hero (RMH) point of sale software, there is a new merchant services option available with Vantiv VIPay for Retail Management Hero. Clients with Microsoft Dynamics have already been using VIPay with great success since 2016 and Vantiv has expanded their integration options to the RMH market. A fully encrypted solution will help keep your business and your customers secure from would-be thieves with many advanced security features that never store cardholder data, reduce PCI compliance burden, and lower chargeback liability risk. Contact us today to learn more about this incredible solution for worry-free and feature-rich payment processing for Retail Management Hero.